Dr Phyllis’s passion for empowering poor people through education, enterprise and microfinance began as a US Peace Corps Volunteer in the 1960s. As founder of the first women’s weaving group in Guatemala, she saw the real difference business made to rural people. This inspired Dr. Phyllis to focus on education and enterprise development, taking her from the slums of Kenya and the villages of India to the boardrooms of London. 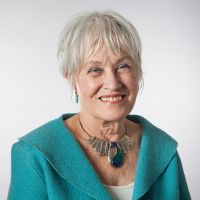 Dr. Phyllis was the National Coordinator for the BBC’s first ever multi-media project in 1985-86, followed by learning technology projects in the UK and Germany in the 1990s. From 2003, as Chief of Mission for PlaNet Finance UK, Dr. Phyllis conducted microfinance training in China, India, Nepal and Ghana, before earning awards from the UN and World Bank as the UK’s National Coordinator for the 2005 UN Year of Microcredit. In 2007, she founded Microfinance Without Borders, now known as Learning Without Borders. Dr. Phyllis holds a BA in History from Wellesley College, Massachusetts, USA, and an MA in Linguistics and PhD in Education from the University of Exeter in England. 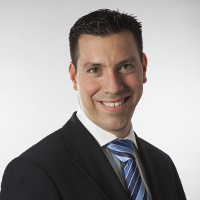 Since 2008, Gabriel has helped dozens of businesses to achieve annual growth of up to 200%. He has also provided coaching and training to hundreds of professionals in over 15 countries. Gabriel co-founded Learning Without Borders to create a comprehensive business leadership & career development programmes and has served as a Director since 2013. Gabriel is an avid traveller, singer-songwriter, and runs several marathons and ultra-marathons annually. Originally from Bangladesh, Mosleh’s University of London degree in Chemistry was followed by a 20-year professional career as a Chartered Accountant with KPMG and Deloitte’s in the UK, Germany and the Middle East. His work involved financial management of multi-national companies, business plans, budgets, control procedures, governance and systems. Mosleh’s return to Bangladesh 20 years ago began his career in microfinance at management and grassroots level as Financial Controller of rural development projects funded by the EU, ADB and SIDA. He later served as CEO of Delta Life Insurance in Bangladesh. A senior consultant since 2003 in microinsurance and migrants’ remittances, Mosleh’s projects are on five continents for ADB, CGAP, UNDP and other international project developers. He is one of the few experts in the world on microinsurance regulation and has led regulation projects in Africa, Asia and the Austro-Pacific region. 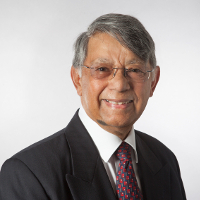 Mosleh serves as one of three commissioners on the Grameen Bank Commission (2013-2014) and heads the Microinsurance Research Centre, a ‘not-for-profit’ research organisation in the UK and Bangladesh. He also serves as a Director in Learning Without Borders.